With 600 acres of water at 120 feet deep, Quail Creek State Park has excellent opportunities for fishermen and boaters, not to mention visitors who simply enjoy camping and picnicking. Follow the lead of locals by visiting the popular Quail Creek State Park. Largemouth Bass and Rainbow Trout are likely, but Crappie and Green Sunfish are also found. The warmer waters allow fishing and boaters all year round. There is a picnic area and campground to appreciate the lake from the shore. Created relatively recently in 1985, the Quail Creek State Park, Utah, is a popular location for bass fishing, although other species are available as well. 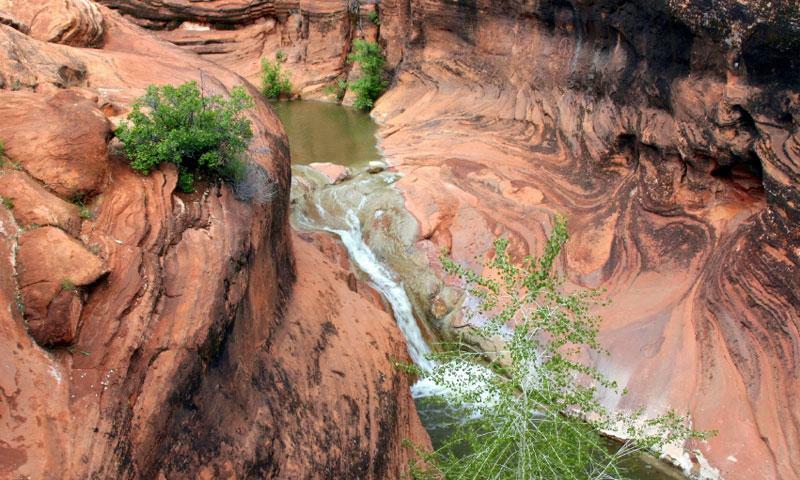 The body of water is set in the scenic red rocks that are typical of the area. 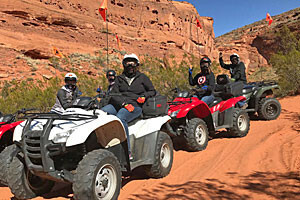 The park is located just a quick 15 miles northeast from St. George. Take Exit 16 of I-15, heading east on UT-9. After 3 miles, turn north onto SR 318, which leads directly into the park. Park passes are $10 for a day-use permit, including use of the boat ramps. Camping sites are available for $15. At 120 feet deep, Quail Creek is cold enough to support rainbow trout, catfish and crappie, while the bass and blue gill stay towards the warmer, shallower water. Bring your best game and see what you can catch. With such great fishing on the lake, it's no wonder that people need to take a break, get off the boat and have some lunch. Fortunately, there are picnic tables scattered around the facilities to fulfill exactly that need. There are two dams that create the reservoir. The southern dam was an earthfill dam that failed on New Years Day in 1989, prompting its replacement with the current concrete roller dam now in place.